When so many of Lifetime’s movies are ripped from the headlines, it makes you wonder if every new film comes from real life. For example, is His Secret Family based on a true story? Having aired biopics about J.K. Rowling, the Royal Couple, and ‘90s TV casts, as well as movies based on true news stories like Cleveland Abduction and Amanda Knox: Murder on Trial in Italy, there's a definite theme of fictionalized truth in the network's movies. However, His Secret Family is a work of pure fiction, and if you've ever caught another one of those on the network, you'll know they tend to be even more shocking than its true to life stories. 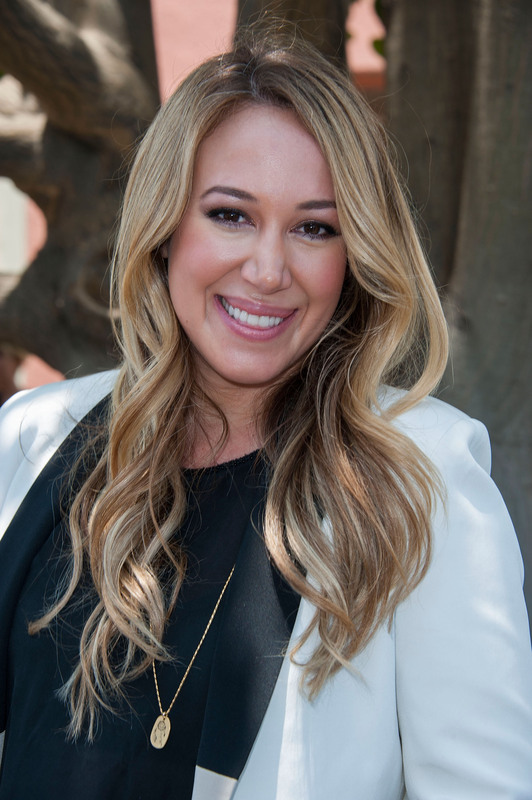 His Secret Family, airing Aug. 8 at 10 p.m., stars Haylie Duff as Sarah, a woman who finds out her husband is living a double life, just as she discovers that his DNA is the only thing that can save her son. Here's how Lifetime summarizes the plot. Sarah was living the perfect life with her husband, Jason and their son Brandon until… Jason simply disappears! Days of searching turn into weeks of agony for Sarah and her son Brandon. To make matters worse, Sarah’s son suffers from a rare genetic disease and only Jason’s DNA can save him. When Sarah finally tracks down Jason, he sets out to make sure Sarah doesn’t ruin his secret life and expose his dangerous past. I just have so many questions! Which family will Jason side with? Will this other family’s similar genetics be what saves her son? We'll have to tune in to find out, but in the meantime, here are some more Lifetime original movies you might enjoy. Newlywed Sandra (also played by Duff) finds out her new husband may have a murderous past. It’s like Finding Carter, but even more twisted and disturbing. After being kidnapped, Saoirse Ronan's character is returned to her birth mother, only to be locked in her room like a prisoner in a twisted attempt at bonding. While Lifetime has aired several other kidnapping films that are based on real life experiences, Stockholm is fictional. Teenage girls catfish a man while pretending to be his mail order bride online. Let’s just say, the duped groom doesn’t take it so well. While this tale of false identity is fake, the story reminds us that we never really know who we are talking to online. Years after a patient kills himself under therapist Victoria Wrightmar’s care, she is reminded of the suicide when a new patient presents a similar case. Perhaps it’s more than coincidence? Hey His Secret Family, Imma let you finish, but A Deadly Adoption was the best Lifetime movie of all time.